Hi everyone! TGIF! It's been a snowy and rather wet morning in my little corner of the world known as Jersey. Normally I wouldn't mind, but I wore my slippers to work and it's pretty much sponges on my feet. No judging! I take casual Friday to the heart and get as homey-looking as possible. I can't wait to get home and work on some nail things tonight. February will be a very exciting month and it's starting off with a bang this weekend! 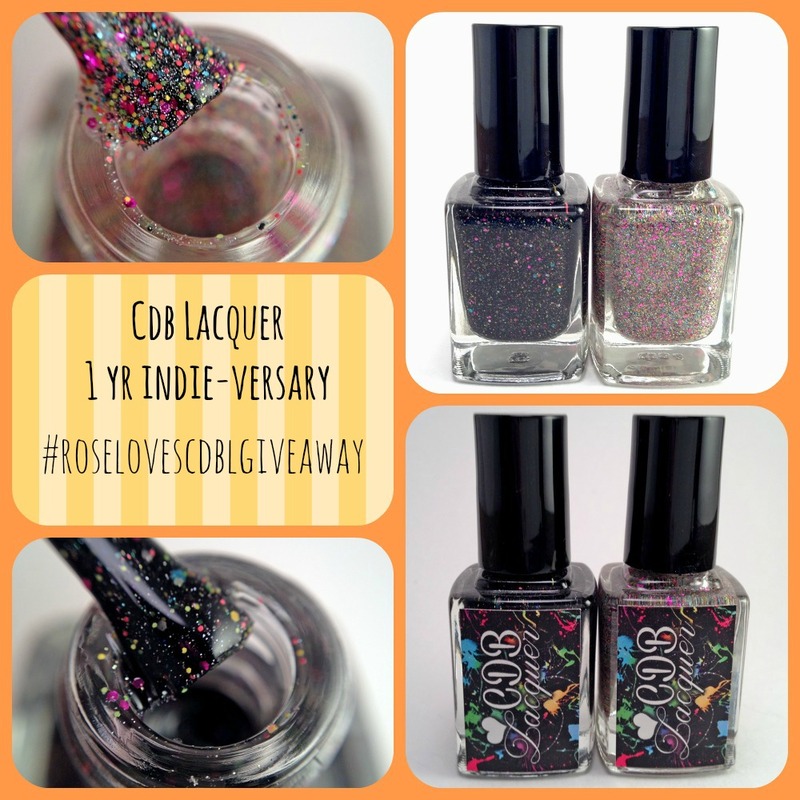 CDB Lacquer will be celebrating their one year anniversary... or should I say 'indie-versary' haha. For the special occasion, CDB Lacquer is releasing a a glitter-fused duo. 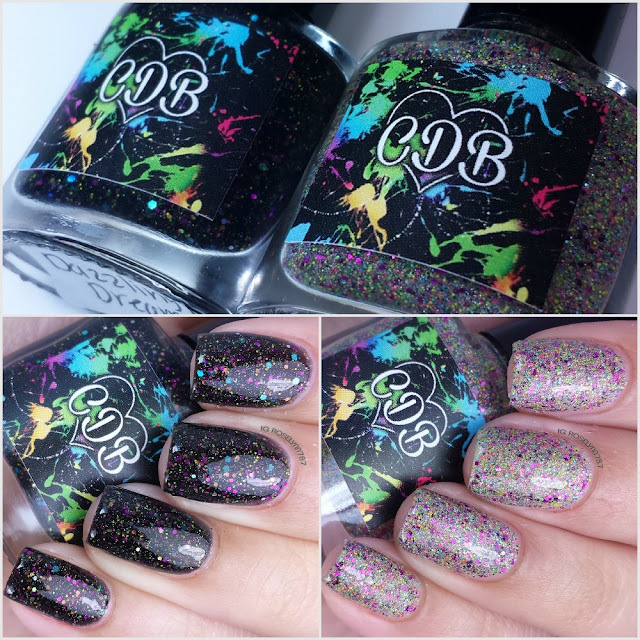 The 1st Indie-versary Duo by CDB Lacquer will be available for purchase on Sunday February 1st. To get the celebration off on the right foot, I'm giving away a full-size duo to one lucky Instagram winner. Details at the end of the post, but as I said this is an Instagram exclusive giveaway. 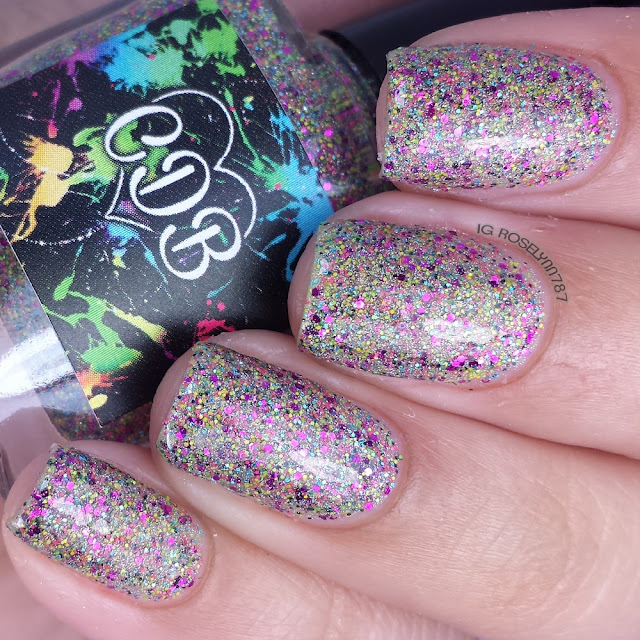 Dazzling Dreams is a black crelly jam-packed with neon glitters. This has got to be one of my favorite polishes from CDB of all time. The neon glitters against the black look exactly like the splatters on the logo. I definitely plan on using it for a lot of manis, like the one I did yesterday with the purple half moons. Great formula and consistency, there were no problems with the application. For these swatches, I used two thin coats and sealed it with a glossy top coat. 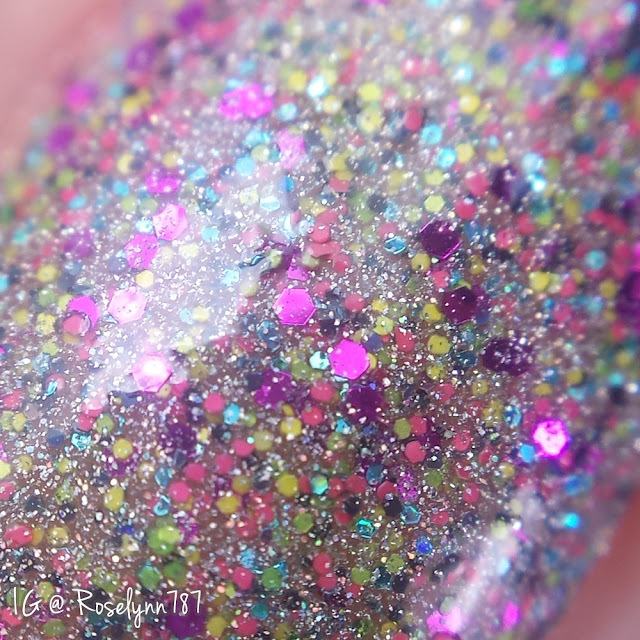 Whimsical Wishes is a clear based glitter bomb filled with neon glitters. I think the macro of this one speaks for itself. Very gorgeous! Although it applies clear, this glitter bomb layers quite nicely for a full finish. The formula gave me no issues and, as I said, the layers apply very smoothly. No glitter clumping or 'bald' spots. If you have a heavy hand, you can probably get a full finish with just two coats. As for me, I preferred to use three thin coats and sealed it with a glossy top coat. Join me in congratulating CDB Lacquer on a very success year in business! 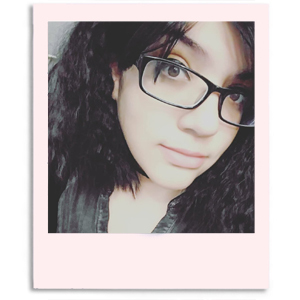 I'm honored to be a swatcher and reviewer for the brand since day one, it's been a pleasure seeing you grow. The Indie-versary Duo is a great example of how far this indie has come in terms of formula quality. Cheyenne of CDB Lacquer excels in creating glitter based crelly/jelly polishes and I hope that is something that I continue experiencing in her polishes. As I mentioned before, I have purchased an Indie-versary Duo for you guys (full size bottles) to try and win. All you have to do is repost the image below on Instagram using the hashtag #RoseLovesCDBLGiveaway, but make sure you read all the rules stated on my Instagram @roselynn787 before entering! Ohh both of these polishes are so pretty!! Yay!!! Congrats to them!! What beautiful polishes, too! Wow, I love both of these. Dazzling Dreams is my favorite though. I love how bright the glitter is! I reposted the pic on instagram, you should just close the giveaway and make me the winner ;) haha for real though, these are both pretty. Congrats to cheyenne on one year! Whimsical Wishes is really intriguing but both are pretty! Dazzling Dreams is so pretty! I love the combination of neon glitters in the black base. Great macros! I really, really like the neon glitters in that black base in Dazzling Dreams! Really cute polishes. I love anything that sparkles. Dazzling Dreams is SOOOO pretty!!! Does it stay on for long periods of time?